-To preserve and share the invaluable teachings, principles, and traditions of the art of Karate-Do for generations to come. -To give the highest quality in Martial Arts & Self Defense Instruction for all people that want to learn. -To create an energetic learning atmosphere that students will thrive in and develop an ambition to learn. -To help each other realize our unlimited potential in life so that we can achieve all of our goals in and out of the dojo with what we have learned from Karate-Do. Welcome to the Genbu Kai Karate of Michigan! 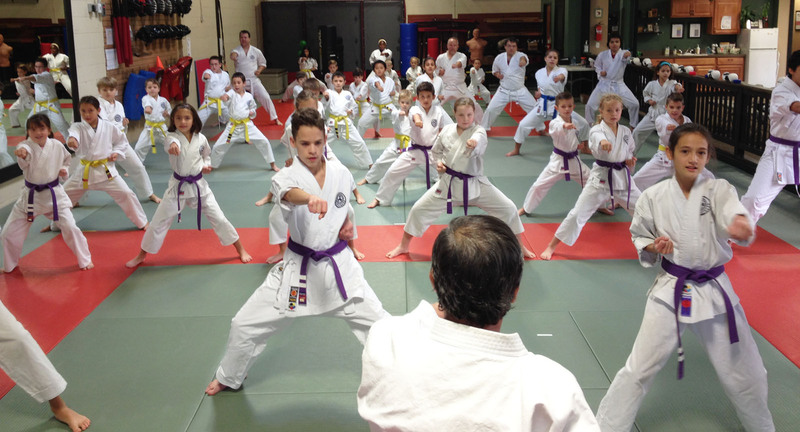 We are a family oriented karate school that is dedicated to the art of Karate-Do and the relentless pursuit for excellence. Our passion is teaching and learning. Since 2001 we have been working towards building a school of strength and pride. Through our teachings we instill good work ethic, positive attitude, a resiliant mind and spirit, along with building a strong physical body. Our main goal is to develop good character and to become the best version of ourselves. Sign up for a free trial class !